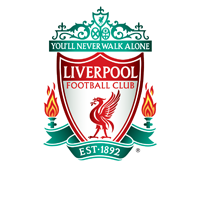 ​Liverpool Ladies put eight goals past Premier League outfit Fylde Ladies in their first pre-season friendly on Sunday afternoon. The first half saw five strikes with Ashley Hodson scoring first before Jess Clarke and Caroline Weir both scored twice, while in the second half goals were added by Development Squad trio Simran Jhamat, Cassia Pike and Aimee Everett. The Reds dominated proceedings in the first half, Kate Longhurst’s early effort rebounding off the post towards Clarke however former Manchester City goalkeeper Alex Brooks quick off her line to win the ball. Hodson struck the first blow of the afternoon having gone close earlier after being teed up by Paige Cole, finding the back of the net to put Liverpool 1-0 up after sustained pressure from the Reds in the Fylde half. 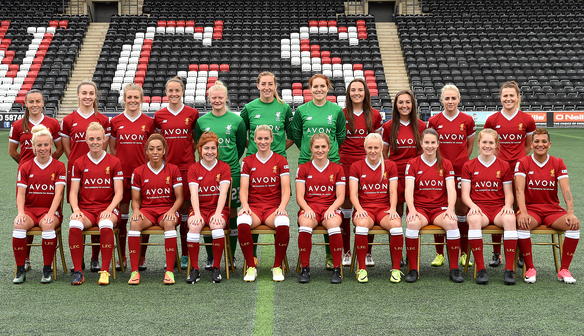 Liverpool continued to threaten; Clarke skipping past Tilly Wilkes out on the right wing to cross towards Laura Coombs who shot over, Tash Harding denied by Brooks at point blank range and Clarke heading Harding’s cross wide of the target. Clarke then scored Liverpool’s second of the afternoon, - Brooks getting a hand to the shot yet ultimately unable to keep it from crossing the line - and also added a third shortly before being replaced by Weir, latching onto a pass from Longhurst and slotting the ball under the ‘keeper. It wasn’t long before Weir found the back of the net, picking up on a loose ball at the back and firing it past Brooks with almost her first touch of the game. Satara Murray made a welcome return to the side after missing the Spring Series to complete her studies in America, the full-back looking as if she had spent no time away and making her trademark driving runs up the wing - nearly setting up Weir who was closed down in the box and also firing a chance wide herself. Before the half was up there was time for one more goal. Weir creating space for herself at the edge of the area to turn and curl a left-footed strike in at the far post, sending the Reds in 5-0 up at the break. There were nine changes to the side for the second half, goalkeeper Jess Carberry and centre half Ellie Fletcher joined by nine of their Development Squad team mates. Once the young Reds had found their feet they passed the ball around with confidence. Pike in particular proving to be a handful on the left, battling her way past several Fylde players and passing to Annabel Blanchard whose cross couldn’t find a red shirt. Blanchard went close to adding the first goal of the half only to be denied by the feet of Brooks and Levi Rathburn also fizzed a strike inches over the crossbar. With 65 minutes played the Reds were awarded a penalty when Jhamat was fouled inside the 18-yard box, the debutant duly stepping up to take her own spot kick and slotting it home to make it 6-0 to Liverpool. Another penalty was awarded when Pike was caught just inside the box, the forward sending Brooks the wrong way to also coolly score from the spot. Fylde were looking to add a late consolation and would have had one only for a superb block from former U16 captain Bo Kearns and a good save from Carberry at her near post. As the game neared it's closing stages Everett came from the bench to net Liverpool’s eighth and final goal of the afternoon, tapping in from yard out after Pike’s shot was parried into her path.